Earlier this year, around July, an album of Vocaloids covering popular Visual Kei songs, titled I LOVE Visualizm feat. Miku Hatsune, was released by Machigerita. The relationship between Vocaloids and Visual Kei music soon became a two-way relationship when an album of famous Visual Kei bands covering popular Vocaloid songs was released in September of the same year. 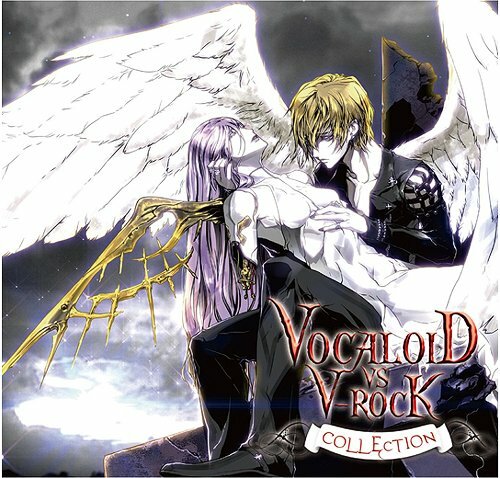 This album is titled Vocaloid x V-rock Collection. You can try a sample of it here. Let us know your thoughts about this album after you've sampled it. Overall, I enjoyed this album and I think the bands put in obvious effort to make the songs sound good. It's difficult to make a direct comparison of this adaptation to the original songs. The VK bands added some of their unique twists to the original songs which I thought was an interesting perspective. However, I still just as enjoy listening to the original versions sung by our beloved Vocaloids.